Our Stock Market Holiday Calendar will allow you to easily keep track of the way global markets will be effected by holidays (world market closings as well as partial trading days ahead of holidays). Financial markets can be adversely affected during holiday breaks, which is why this calendar can be a key tool for all long term traders. After filtering the information you need, you can export the closure dates using the ""Add to Calendar"" button. 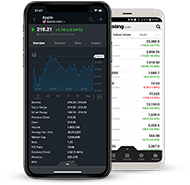 Explore the calendar to find information on the NYSE, NASDAQ, LSE, Euronext, Tokyo Stock Exchange and many other world exchanges.